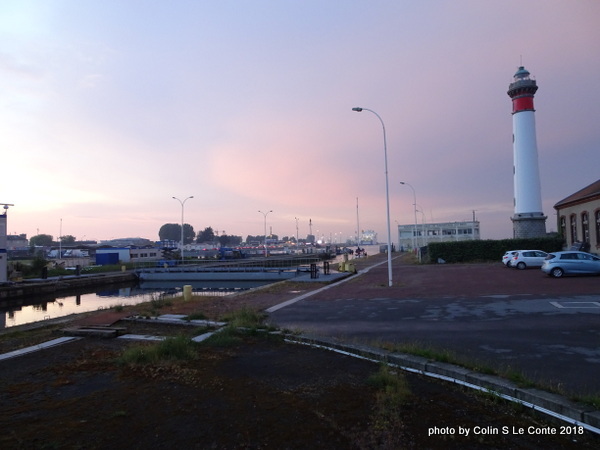 Up the river from Ouistreham is Caen marina, set in the heart of the city. It is a great journey up the river and you meet at Pegasus bridge and then travel up the river in a convoy. Pegasus bridge is about 2nm from the lock gates / Ouistreham marina. The bridges are controlled remotely using cameras and they only open when the slowest boat has arrived. 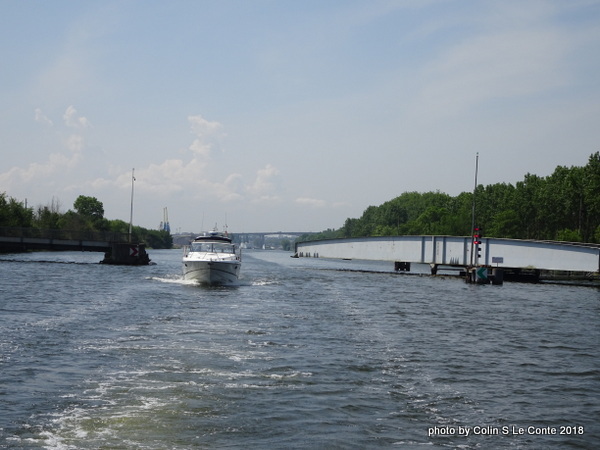 There is a speed limit of 7 knots but no point in doing this speed if you are with slower boats. 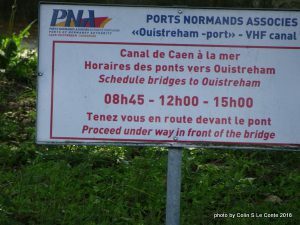 There are 3 bridges and the last one is just before you arrive in Caen. This trip is definitely worth doing if you have the time and have not done it before. Just seeing the Pegasus bridge lift is worthwhile. 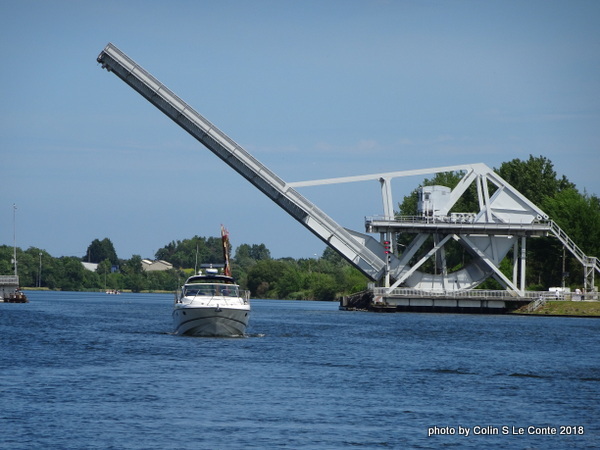 It is an easy journey and takes about 1hour 20mins from Pegasus bridge although you can probably do it in just over 1 hour if all the boats are doing 6 knots. 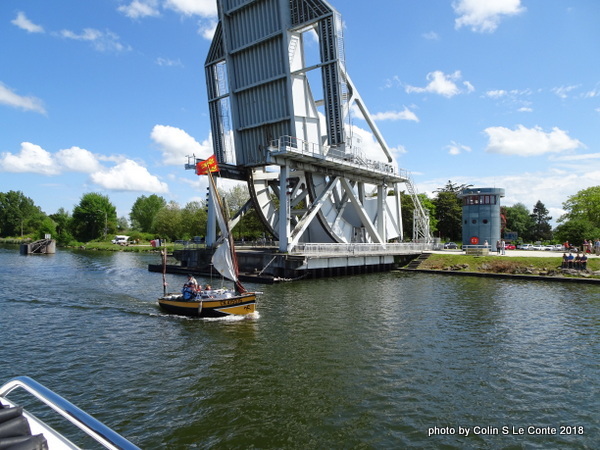 Remember to allow time to get to Pegasus bridge which is 2nm upriver from the lock gates so you probably need to allow a further 20 to 30 mins for that part of the journey. 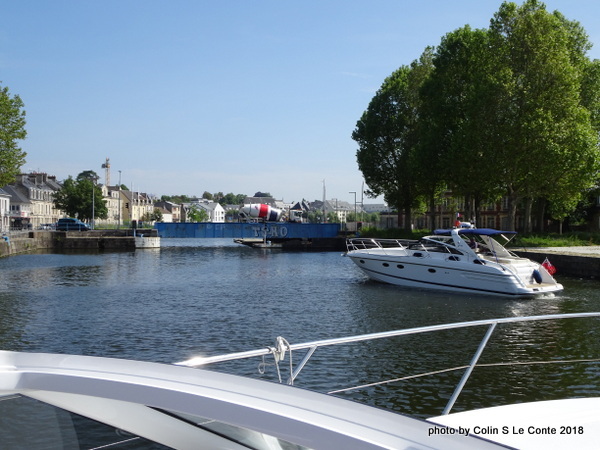 In Caen marina, you use the 2nd pontoon in on the right which has 8 spaces, room at the end and against the wall. The spaces are not wide enough to accommodate 2 x 3.6m boats. The harbour office us helpful when open and the facilities are very close and spacious and you use a key fob to get in. 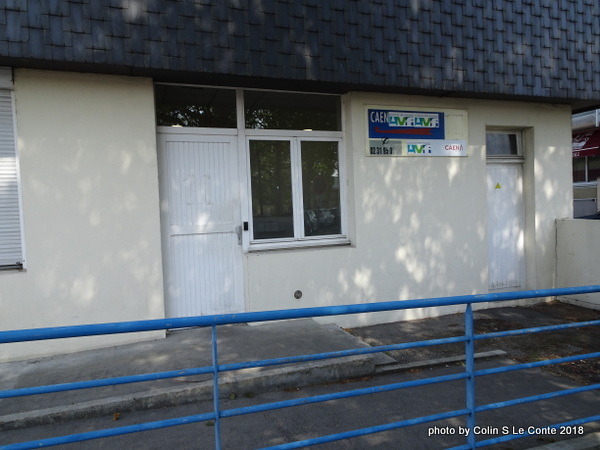 The key fob must be returned to the white letterbox marked Port Caen when leaving. The security gate to the visitors’ pontoon was good but worked without the keyfob so were not very secure. The marina can be noisy at night. 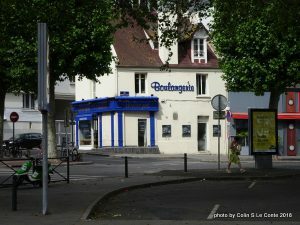 One boater reported a nightclub opposite which emitted loud noise until early in the morning. When we were there, there were a large number of people opposite the marina meeting, shouting and skateboarding until it started to rain at 2 am.